Ruggedized features combined with elegant styling, Survivor is a new paradigm in chassis design. Engineered for the mobile digital warrior, Survivor comes fully equipped with BitFenix S2™ security, an innovative carrying handle that hides away when not in use, and full compatibility with extra-long graphics cards. BitFenix's SofTouch™ coating helps the system resist a few bumps on the way to the LAN party, and balanced airflow means Survivor remains cool and stable in the heat of battle. All of this is geared to help you dominate at your next LAN event, rather than worrying about if your hardware will survive the day. The unique curved design of Survivor isn't just for looks. The frame actually extends past the mesh side panels to help protect the chassis during transport. The top and sides of the chassis are coated with proprietary BitFenix SofTouch™ coating for easy clean up and scratch resistance. If you are going to crush your opponents, why not look good doing it? Equipped with a convenient carry handle, Survivor makes transport a breeze. And when it's not in use, simply snap the handle back in place and retain Survivors clean modern design. A simple and useful idea, elegantly executed on Survivor. Worried about people stealing your mouse or headset at your next LAN event? 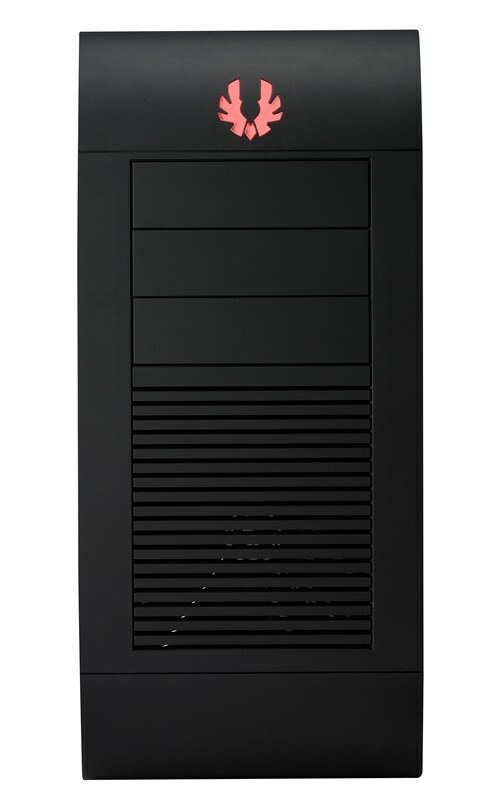 With BitFenix S2™ back panel security, that worry is a thing of the past. Connect your mouse, keyboard and headset, and then secure them using S2 on Survivor - perfect for LAN events and other public venues. With BitFenix S2, your peripherals are on lockdown. Plug into an ever-growing range of high-speed USB 3.0 devices. Fully USB 3.0 compliant with two USB 3.0 ports, Survivor stands ready to help you experience the speed and performance of next generation USB connectivity. Hot system components could spell trouble when the competition is hunting you down. Survivor is built to stay cool under extreme conditions, and can be outfitted with up to two 200mm fans or three 120mm fans, delivering superb airflow to all your hardware, and keeping your system chilled and battle-ready. When shock and awe won't get the job done, maybe stealth is the answer. Survivor comes equipped with a convenient light control, which enables you to turn the lights on when you need then and off when you don't. If you've equipped Survivor with BitFenix Spectre™ LED fans, you can turn them off as well. After all, even warriors need to sleep eventually. In competition, you need every advantage you can get. That's why Survivor comes with a modular hard drive cage that can be easily removed to accommodate even the longest graphic cards - all of this while maintaining Survivor's compact dimensions. With Survivor, your rivals won't even know what hit them. When the battle looms on the horizon, you want to spend as little time as possible getting your hardware up running. Featuring a motherboard CPU cooler cutout on the motherboard tray, specially-designed motherboard standoffs, intelligent internal cable management, and an almost completely tool-free design, Survivor means less time tinkering and more time fragging.